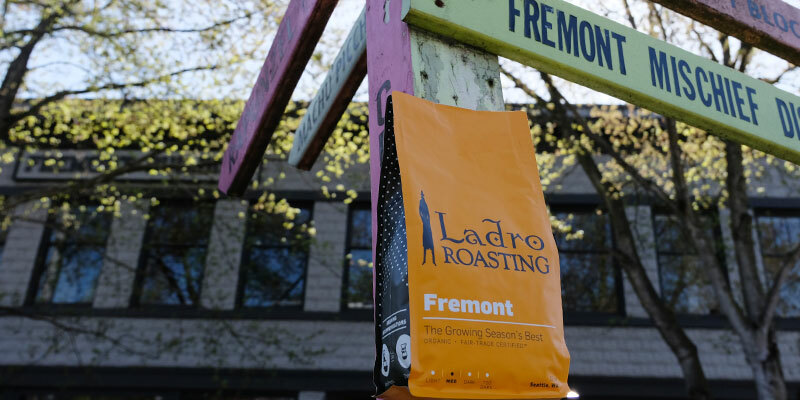 We named Fremont Blend after the neighborhood where our fourth Caffe Ladro is located: Fremont, Seattle. 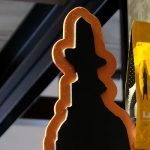 Also known to Seattle area locals as the Center of the Universe, Fremont is quirky, mischievous, and a little off-color in the nicest (Solstice Parade), most endearing sorts of ways—much like the culture of Caffe Ladro itself. (57% of our office staff prefer the Unicorn to the Pegasus. Your office does polls like this, yes?) If you’re already convinced you must have this Fremont coffee, click the image below. Have you ever tasted a Dutch baby pancake, baked in cast iron, and filled with fresh sliced pear? Now dust that beauty with sliced roasted almonds and drizzle with just a few thin ribbons of molasses. That’s a cup of Fremont coffee. Buttery mouthfeel, fruit and nut alternating in the body, and a slight molasses tang in the finish. Brunch, anyone? The best coffee blends balance carefully curated, responsibly sourced green coffees with the optimal roast level. We roast Fremont carefully perfectly balance the complex original flavors of stellar seasonal coffees and a rich body. 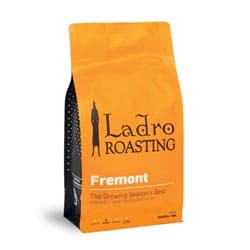 Fremont Blend is very similar to Ladro Espresso: both are not only blended and roasted for balance. We change the coffees in Fremont based on the very best Fair-Trade Organic coffees available each season. Then we give them a medium roast that offers you a balance cup. Every one of these delicious coffees becomes an integral part in the baked pear, molasses, and almond flavor profile you’ve come to expect in a cup of Fremont blend. Fremont Blend is 100% Fair Trade. The team at Fair Trade USA explains, “Based on the simple idea that the products we buy and sell are connected to the livelihoods of others, Fair Trade is a way to make a conscious choice for a better world. A choice for Fair Trade Certified™ goods is a choice to support responsible companies, empower farmers, workers, and fishermen, and protect the environment. In other words, it’s a world-changing way of doing business.” If you prefer an FTO with a darker roast, we recommend our Diablo Blend. 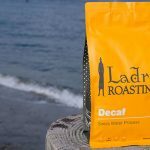 At Ladro Roasting, we take coffee sourcing very seriously. It isn’t just our own livelihood after all. Coffee is life for many communities of farmers and processors around the world. Traveling to origin, visiting farms, and seeing first-hand the working and living conditions of the coffee pickers is parament. That travel helps us ensure we buy beans from farmers who are using ethical and sustainable practices. We decided to move the majority of our buying model to direct-trade with intention. Building relationships with farmers that benefit the workers and the agriculture in coffee growing regions is incredibly important to us. We currently practice 70% direct-trade and believe we are serving the world community better with every new relationship we cultivate. Through direct-trade, the farmers and coffee millers receive 100% of the money we pay for coffee. We understand. The Fremont neighborhood holds some of the more entertaining night life options in Seattle. 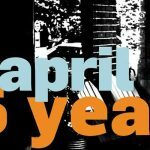 (Even Fremont Caffe Ladro is open till 10pm on the weekends!) Pour yourself a cup of Fremont coffee, put on soothing music, and wake up gently.